Two months before my trip to New Zealand, I started searching for information about how to apply for a tourist visa. I wanted to have my visa already before the holiday began because I needed my passport for another trip. So I checked some blogs about New Zealand Tourist Visa application. After reading some resources online, I’ve found out the process straightforward. 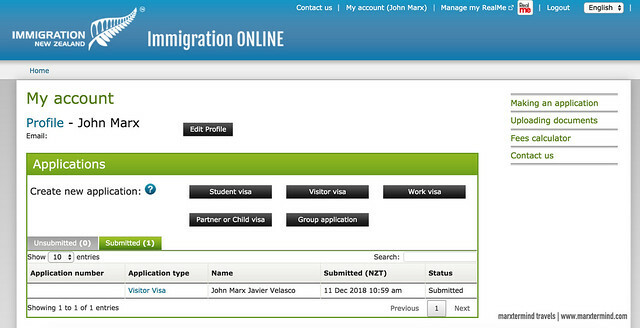 Like the other visas that I applied before, New Zealand Tourist Visa application can also be done online. Through blogs and information over the web, I have also learned that applying for New Zealand tourist visa is actually free. Yes, you read it right! Filipinos is one of the nationalities that is exempted to pay for the visa fee if you’re visiting New Zealand for less than 59 days. So if you’ve been wanting to travel to this country, then this is really a great news! What is a Visitor Visa or Tourist Visa? A visitor visa allows you to come to New Zealand as a visitor for a limited amount of time. It allows you to visit as a tourist and explore the country. You can enjoy amateur sports and other adventure activities. Also, perform in cultural events without pay. With this visa, you can also visit your friends and family. Visitor Visa holders are also allowed to study for up to 3 months. Visitors can also enter New Zealand to get married. How to Apply for New Zealand Tourist Visa Online? 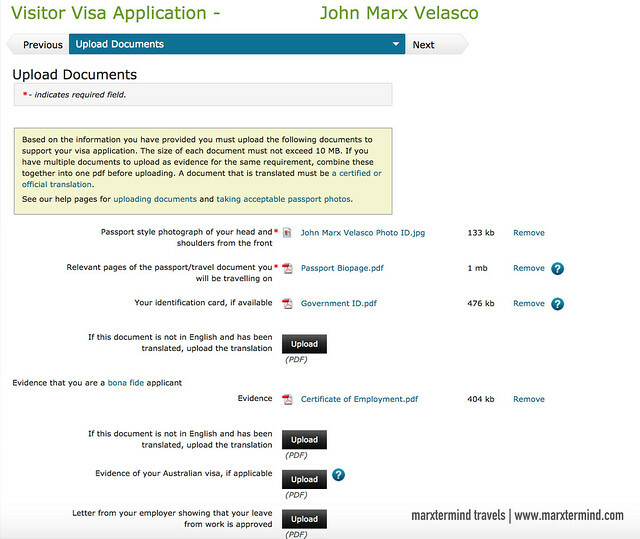 There are three ways to apply for a visitor visa or tourist visa in the Philippines. Applicants or their representative can submit the application in person or submit it via carrier to VFS New Zealand Visa Application Centre. The office provides New Zealand visa application services in the Philippines. Another means to submit the application is by online, which is the best option for me. 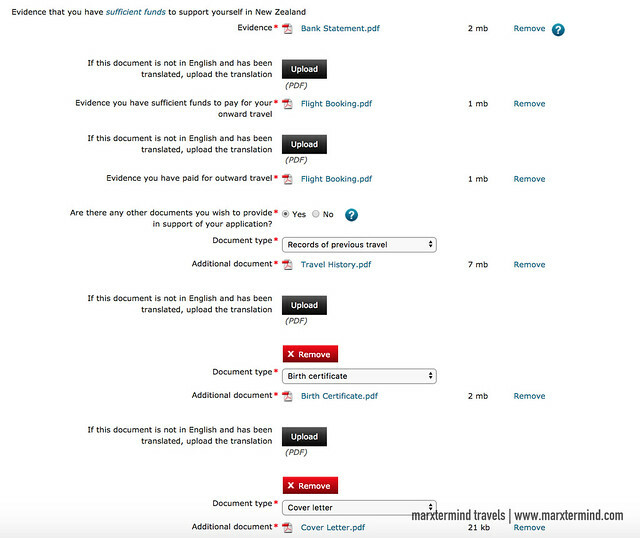 Here are the steps that I followed when I submitted my New Zealand tourist visa application online. 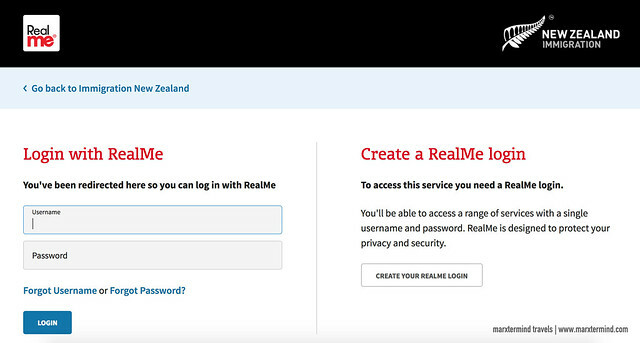 RealMe is a secure online ID that allows you to login to a range of New Zealand Government services using a single username and password. This includes applying for tourist visa. Once you have created and verified your RealMe Account, you will now have access to New Zealand’s Immigration Online Portal. 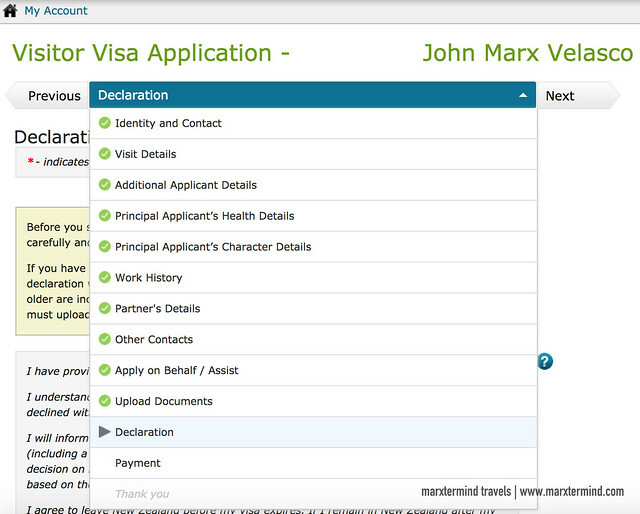 The page allows you to create new application for different kinds of visas. Since this step is about New Zealand Tourist Visa application, select visitor visa in the choices. Then, you will be redirected to a page that says “Is this the right form for you?”. Basically it has just questions to verify that you are applying for the right visa type. Once done, click the “Start my Application”. Then after completing the form, you will be asked to upload relevant documents to support your New Zealand tourist visa application. Below is the list of the documents that I uploaded. Next pages are declaration and payment. You won’t be asked to pay since application fee is waived for this type of visa for Filipinos. After the payment page, click next and you’ll see the Thank You Page. 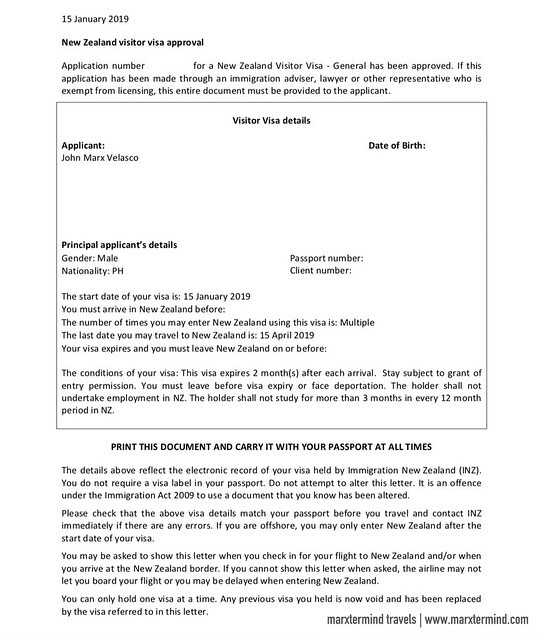 Print this page as you need to submit it to NZVAC along with your passport. Most blogs that I’ve read said that applicants have to wait for the confirmation letter in the email before going to the visa application center. Basically, this is a letter confirming that the application was assessed and that the applicant can already submit the passport. I waited for this letter to come for days up to weeks but I haven’t received any either from Immigration New Zealand or NZVAC. I got worried so I sent them an email. Then, I learned that it is not necessary to wait for that confirmation letter. The “Thank You Page” in my RealMe Account was already enough. This happened a week before my holiday trip to another country. VFS New Zealand Visa Application Centre announced in their website that they’ll be closed for business due to holidays for two weeks. Passport also must receive by Immigration New Zealand within 20 calendar days after the application was submitted. With all these conflicts, I wouldn’t be able to submit my passport. As a result, the visa application center suggested that I just lodge a new application after my first New Zealand tourist visa application expires in my RealMe Account. After the holidays, I sent an email to VFS New Zealand Visa Application Centre again. I asked if I could start a new application for Visitor Visa already. I told them that my first visitor visa application was still showing as active and submitted in the online portal. If I would be following the 20-day rule in submitting the passport, my application should have been expired already. So, my concern was forwarded to the Immigration New Zealand. Then after 4 days, I received a reply from VFS New Zealand Visa Application Centre telling me that I didn’t need to start a new application. They asked me to just submit my passport within a week. There are three ways to submit the passport – in person, by a representative or via courier. I submitted mine in person. 6 days after I submitted my passport to VFS New Zealand Visa Application Centre, I received an email from Immigration New Zealand for my Visitor Visa approval. I was granted a multiple-entry tourist visa valid for three months. The document also states the visa condition and other relevant information. Then, I received an email from NZVAC that my passport is ready for pick up. 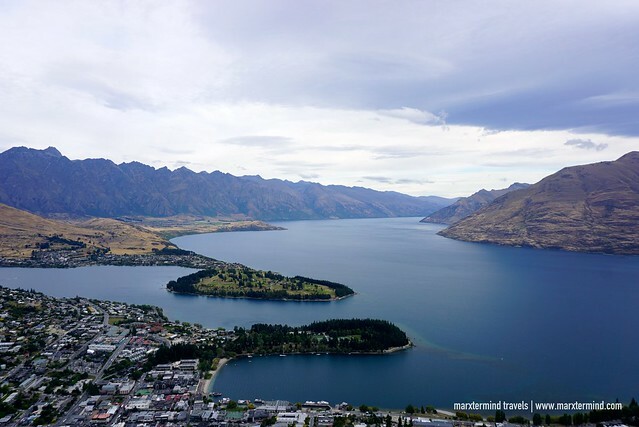 When is the best time to apply for New Zealand Tourist Visa? I suggest at least two months before the trip. Do I need to have a show-money? Yes. Applicant must submit proof of means of financial support. This could be bank statement for the past three months or pay slip. How much should be the show-money? It depends on the number of days that you will be in New Zealand. I suggest to have a budget of around NZ $100 per day. Do I need to have confirmed flight bookings? I read in some blogs that Immigration New Zealand accepted some applicants that didn’t have any confirmed travel bookings. But just to be sure, I would suggest to provide at least a reservation of your flights from and to New Zealand. Is there a visa label in the passport? Immigration New Zealand only provides e-Visa for all approved Visitor Visa instead of a visa label in the passport. 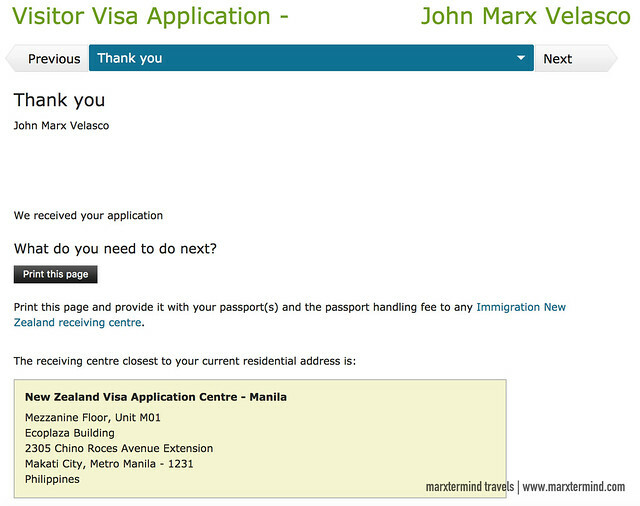 Do I need to wait for the confirmation letter before submitting my passport? You can submit your passport as soon as you have the Thank You page. Print this and submit it to New Zealand Visa Application Centre along with your passport. Is the visa application really free? Visa fee is waived but you have to pay VFS for the handling fee. Is it better to submit the passport to VFS NZVAC in person or via courier? I opted to submit and pick up my passport in person. But if I would apply again next time, I would rather choose submitting the passport in person then avail the one-way courier to get my passport. Or better yet have it submitted via courier as well. I spent the same amount by riding a Grab to pick up my passport. Please note that the steps in this blog are for application for a New Zealand tourist visa only. If you are applying for other types of visa, please contact New Zealand Visa Application Centre or visit the official website. Next story How to Apply for Australian Transit Visa Online?